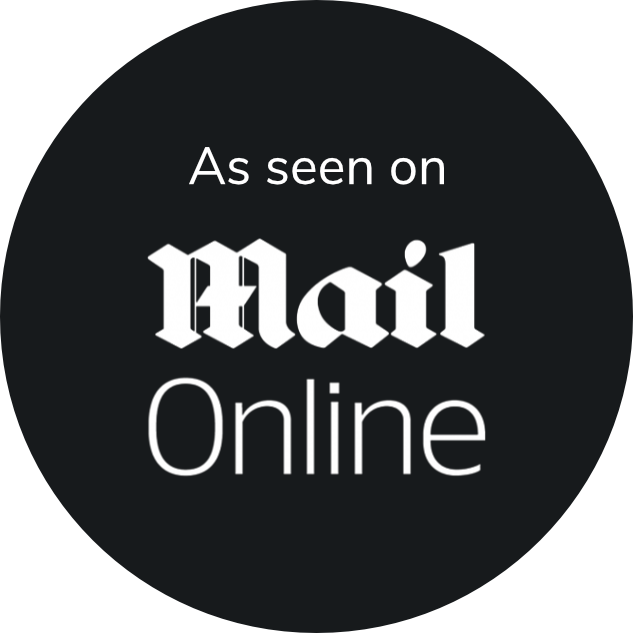 The Tattoo Removal Experts based in Chiswick, West London, perform more eyebrow tattoo removal treatments than any clinic in London. We have performed hundreds of these treatments and fully understand all the complexities clients can encounter. Tattoo removal is all about the results and this is even more so the case when it comes to laser eyebrow tattoo removal. When you visit a clinic, they will all say that they produce fantastic results, but can they prove it? We have many examples of perfect eyebrow tattoo removals to show our clients. There are companies in central London that say they are world leaders but cannot show one removal that compares to ours. We charge £30 for a test patch and £95 for a full treatment. The test patch is a few shots from the laser, usually on the tail end of an eyebrow. We use a test patch to see exactly how the ink reacts and also how the skin reacts. The client will then know what to expect, and we can then provide an indication of the number of treatments required. We expect there to be no damage to the skin no matter how many treatments you require. Is the type of laser important? The technology used is of paramount importance. It’s fair to say the cheaper the laser the greater the chance of skin damage. Lasers that use very small spot sizes are far more likely to break the skin and cause bleeding which increases the risk of scarring, especially on the sensitive facial skin. 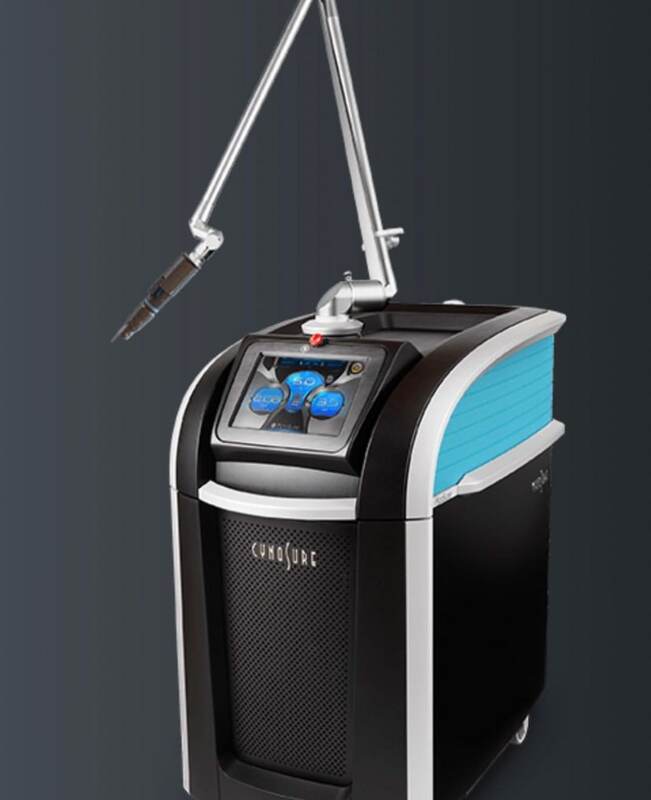 The Tattoo Removal Experts use the Cynosure Picosure and Revlite lasers which are the best lasers in the industry. Their beam quality is exceptionally high meaning the treatment from these lasers is as kind to the skin as is possible; resulting in the very best finished results possible. Every eyebrow tattoo removal is different, and we never know exactly how many treatments it will need. The main factors are the type/composition of the ink and quantity/depth. As a guide, a very easy grey tattoo can be removed in one treatment, whereas a stubborn brown tattoo could take eight treatments. When performing eyebrow laser tattoo removal, there is always a small risk to your hair however none of our clients have ever commented about losing any hair. 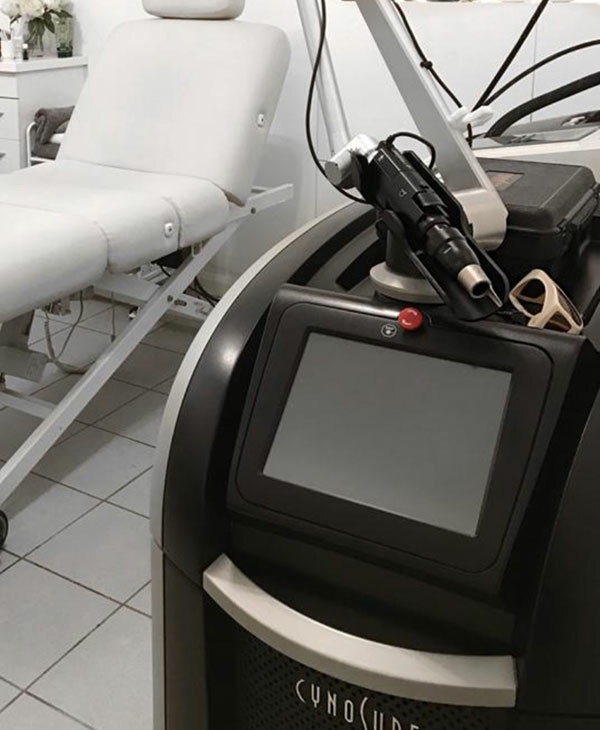 The type of laser used for tattoo removal is very different than the lasers used for hair removal. 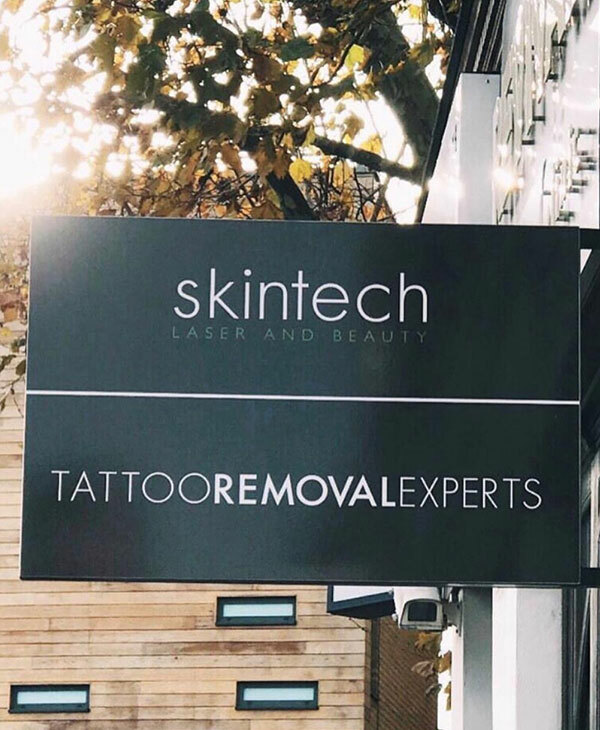 The tattoo removal laser fires an incredibly fast pulse of light to shatter the ink whilst the hair removal laser fires a far longer pulse to heat and destroy the hair follicles. Therefore, noticeable hair loss is extremely unlikely. Can you remove black ink? Even though black ink is quite often the darkest and thickest we encounter, it is typically the most straight forward to remove. Light grey tattoos can sometimes be removed very easily. Can you remove brown ink? We can remove brown ink tattoos, however this colour ink has a high risk of oxidisation. This is caused by metallic elements of the ink turning grey when hit by the laser. This means that the tattoo can get darker before it starts fading. Once oxidised, the ink can be removed however it can be more stubborn than unoxidised inks. 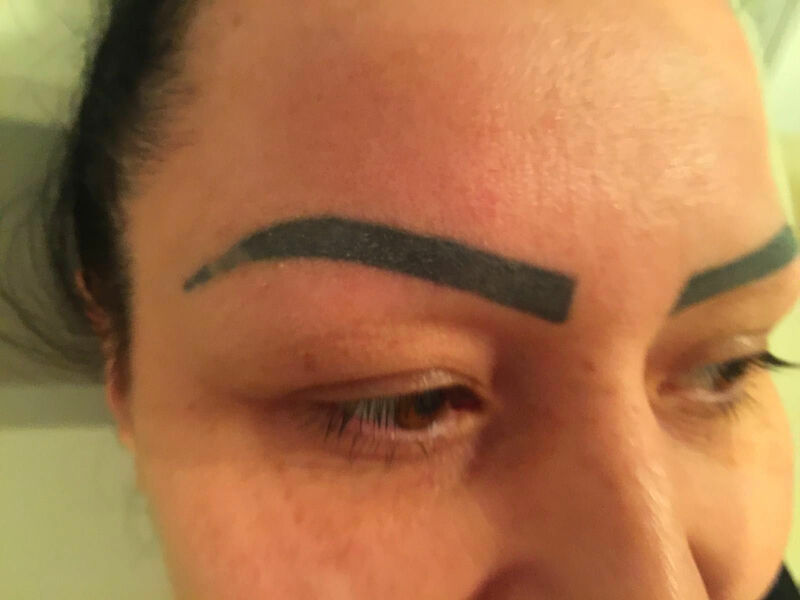 It’s important that clients with any brown ink in their eyebrows are aware of this. Do I need to tell you if flesh coloured ink was used around my eyebrow tattoo? It is very important that you make the consultant aware that flesh toned ink has been used. This is because flesh coloured ink usually oxidises and can be a nasty surprise when it turns grey. If you have any questions about our eyebrow tattoo removal services, please call or email us today. We have a helpful frequently asked tattoo removal questions section that may answer any questions you have. Alternatively, please call or email us today and one of our consultants will be happy to advise you. 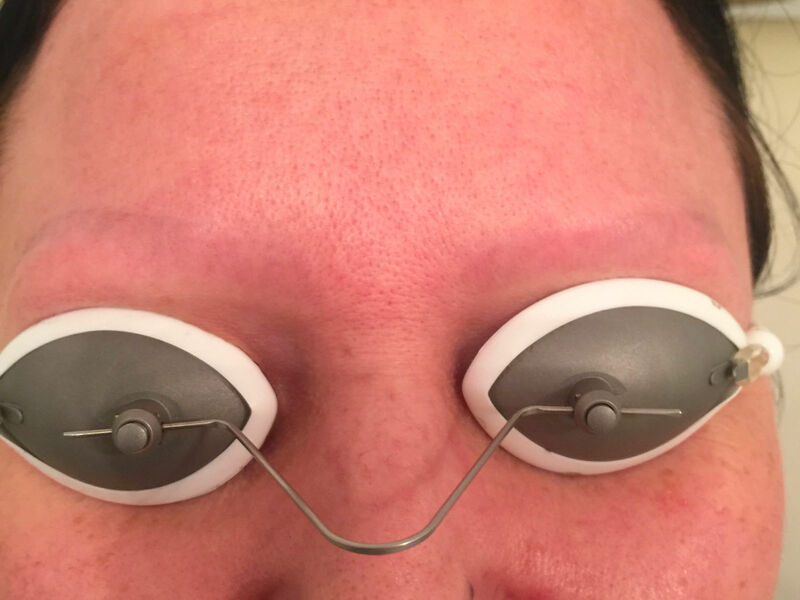 One treatment can be enough to remove lighter tattooed eyebrows. However, those with more stubborn ink can take up to eight treatments.